Half of Canadians aged 18 to 34 own homes, a new report shows, but many that do have found they need to rent out a room or basement in order to cover their housing costs. According to Mortgage Professionals Canada, which put the report together using data from various sources, including a survey of 2,000 Canadians, that’s become the “new normal” in the Canadian housing market. 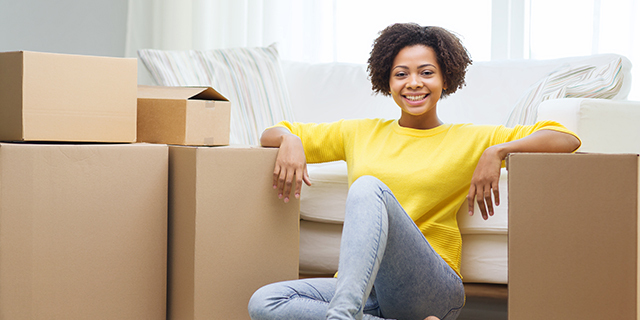 In fact, 34 per cent of recent first-time buyers believe it’s important to generate income from their properties. In total, 12 per cent of Canadian homeowners currently rent or plan to rent out part of their home, with that amount rising to 20 per cent for 18- to 34-year-old homeowners. About 40 per cent of all homeowners do so in order to cover their housing costs, though again the amount varies depending on age range. Just under 50 per cent of homeowners between the ages of 18 to 34 and 35 to 54 rent or plan to rent out their homes in order to afford their housing costs, while only around 15 per cent of homeowners over the age of 55 do so for that reason. 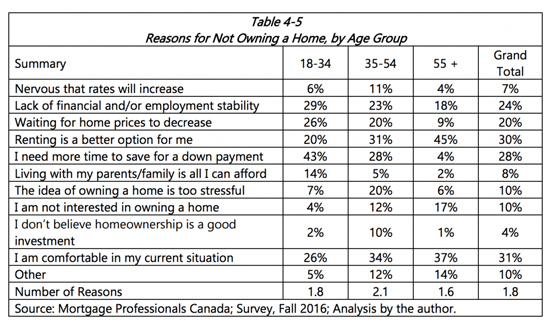 Of the 18- to 34-year-old Canadians that don’t own a home, 43 per cent said they have not bought one because they don’t have enough money for a down payment. That’s unsurprising considering how long it takes to save up for one — according to Mortgage Professionals Canada, a person making a typical Canadian wage would have to work for 102 weeks to afford a 20 per cent down payment on an average-priced home. Fifteen years ago it took half that time. Saving for a down payment is of course only one of the challenges prospective homebuyers face, and the report identifies Canada’s stricter new mortgage rules as the latest concern. Those who expect the rules to affect them see their ability to buy being hampered, and in conversation with Global News, Taylor admitted they may be right. “We’re now at the point where we may be pushing the pendulum too far in making home ownership elitist. If you do not yet own a property it’s that much more difficult to get onto the property line because of the stress test,” he said.